“Sharps” in this context are needles, sharp-edged instruments, broken glassware or any other item which may be contaminated by blood or body fluids and may cause laceration or puncture wounds, such as razors, sharp tissues such as spicules of bone and teeth may also pose a risk of injury. Sharps injury is a cut or skin penetration which has been used on a patient or in contact with a patients blood components or other body fluids. 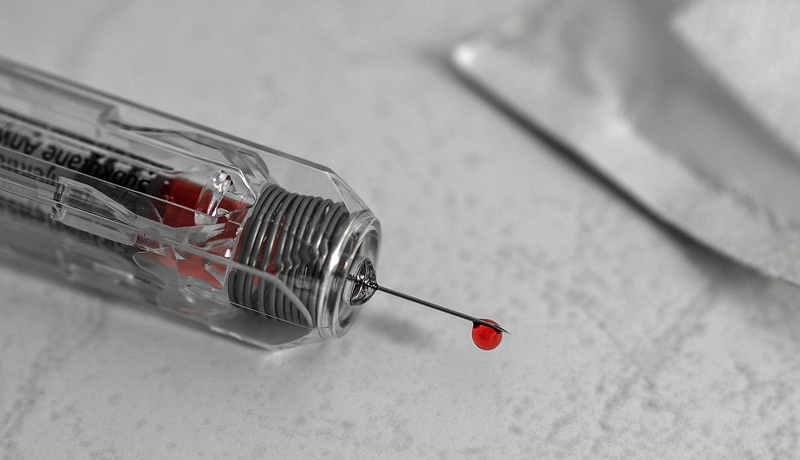 Improper management of discarded needles and other sharps can represent a serious threat to the health and well-being of anyone handling clinical waste. In the worst cases, they can be fatal. Discarded needles may expose people to potential needle stick injuries and potential infection. People also risk injury if loose sharps poke through plastic refuse bags. Used needles can transmit serious diseases, such as HIV and hepatitis. Lehane Environmental can provide a wide range of UN-approved containers which will keep staff safe from the risk of injury and infection. Our personnel are fully trained to cleanse sites and handle sharps correctly . Ineffectively secured vacant properties are always at risk from vandals, habitation by squatters or an undisturbed location for drug takers. Site clearance of such premises poses its own risks; at Lehane Environmental we provide a complete site cleansing service to include the safe removal and disposal of all waste and sharps. Sharps removal can be carried out safely and effectively by our trained personnel. Drug takers often leave behind an array of needles, syringes and other hazards that present a very real health hazard from highly infectious pathogens such as Hepatitis and HIV which can cause serious and even fatal health problems. Sharps disposal must be carried out with the greatest of care, and all sharps disposed of safely and legally. As a Permitted Waste Collector we offer a comprehensive sharps disposal service to include sharps bin disposal and syringe and needle clearance. The actions of vandals and squatters often lead to pools of broken glass within a property, increasing the risk of injury to a site clearance team. Lehane Environmental are qualified and experienced in the safe removal of all waste and hazards from all types of property – be it residential, commercial or industrial, to include the safe clearance and disposal of broken glass and other dangerous sharps and hazardous materials. Our site clearance teams are trained in how to locate and safely remove any sharps and needles. The clearance of sharps is extremely dangerous; just one false move could result in a life threatening injury. Don’t take the risk, call Lehane Environmental today – 021 4351020. Sharps injuries are one of the most common types of injury to be reported to Occupational Health services by healthcare staff. The greatest occupational risk for transmitting a blood borne virus (BBV) is through parenteral exposure, e.g. a needle stick injury, especially those needles with hollow bores where blood may reside. Avoid the use of sharps if possible. All staff who handle sharps should be immunised against Hepatitis B. When transporting a used syringe (e.g. arterial blood sampling) remove the needle using a removal device and attach a blind hub prior to transportation.